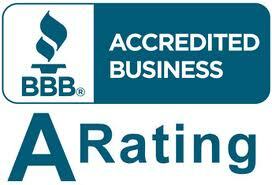 This Code also represents standards for business accreditation by BBB. Businesses, such as AMERIMUTUAL MORTGAGE, that meet these standards and complete application procedures will be accredited by BBB. 1. Build Trust: Establish and maintain a positive track record in the marketplace. A.Have been operational (actively selling products or services) in any BBB service area for at least the most recent 12 months, unless the principal(s) previously operated a similar business with an eligible record (one that qualifies for BBB accreditation). B.Fulfill all licensing and bonding requirements of applicable jurisdictions; provide all license and bonding information upon application for BBB accreditation; and provide periodic updates upon request of BBB. D.Be free of an unsatisfactory rating and maintain at least a B rating at the accrediting BBB and the BBB where it is headquartered, if different. 2. Advertise Honestly: Adhere to established standards of advertising and selling. A.Follow federal, state/provincial and local advertising laws. B.Abide by the BBB Code of Advertising. Supply, upon request, substantiation for advertising and selling claims. Correct advertising and selling practices, when recommended by BBB. D.Cooperate with BBB self-regulatory programs for the resolution of advertising disputes. E.Use the BBB name and logos in accordance with BBB policy. F.Avoid misleading customers by creating the false impression of sponsorship, endorsement, popularity, trustworthiness, product quality or business size through the misuse of logos, trustmarks, pictures, testimonials, or other means. 3. Tell the Truth: Honestly represent products and services, including clear and adequate disclosures of all material terms. A.Make known all material facts in both written and verbal representations, remembering that misrepresentation may result not only from direct statements but by omitting or obscuring relevant facts. B.Ensure that any written materials are readily available, clear, accurate and complete. 4. Be Transparent: Openly identify the nature, location, and ownership of the business, and clearly disclose all policies, guarantees and procedures that bear on a customer’s decision to buy. 5. Honor Promises: Abide by all written agreements and verbal representations. 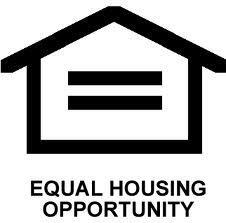 B.Make a good faith effort to resolve disputes, which includes mediation if requested by BBB. Other dispute resolution options, including arbitration, may be recommended by BBB when other efforts to resolve a dispute have failed. BBB may consider a business’ willingness to participate in recommended dispute resolution options in determining compliance with these standards. C.Comply with any settlements, agreements or decisions reached as an outcome of a BBB dispute resolution process. D.Cooperate with BBB in efforts to eliminate the underlying cause of patterns of customer complaints that are identified by BBB. 7. Safeguard Privacy: Protect any data collected against mishandling and fraud, collect personal information only as needed, and respect the preferences of customers regarding the use of their information.